My first batch of fudge! 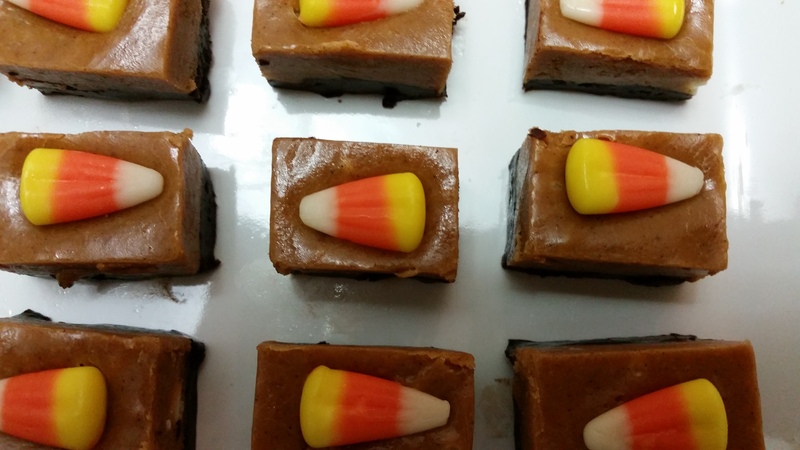 Not just any fudge, but Halloween-themed fudge with two layers: dark chocolate and pumpkin spice, topped with candy corn. I used this chocolate fudge recipe. It was great, you should eat it ASAP. If you make one thing after reading this post, make the chocolate fudge. Super dense chocolate, rich, creamy, and not scary sweet the way some fudge recipes can be. I halved the recipe to make room for the pumpkin layer. 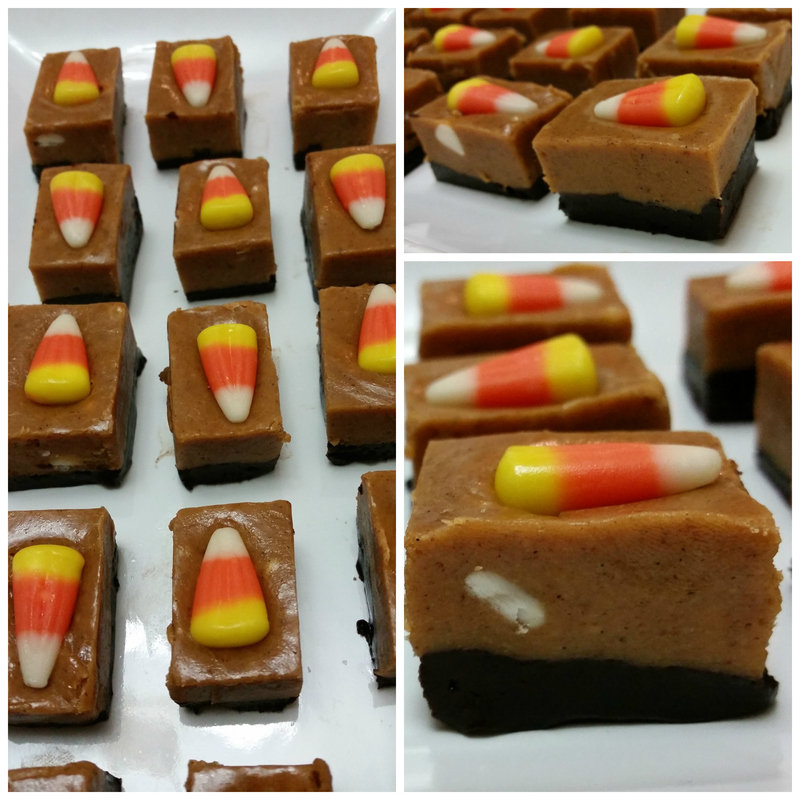 The pumpkin spice fudge recipe is here. It’s pretty tasty and has a nice, warm and spicy pumpkin flavor. Definitely tastes very seasonal! Again, I made a half recipe. I added some orange candy coloring to make it less brown and more orange, and I’m happy with that decision. 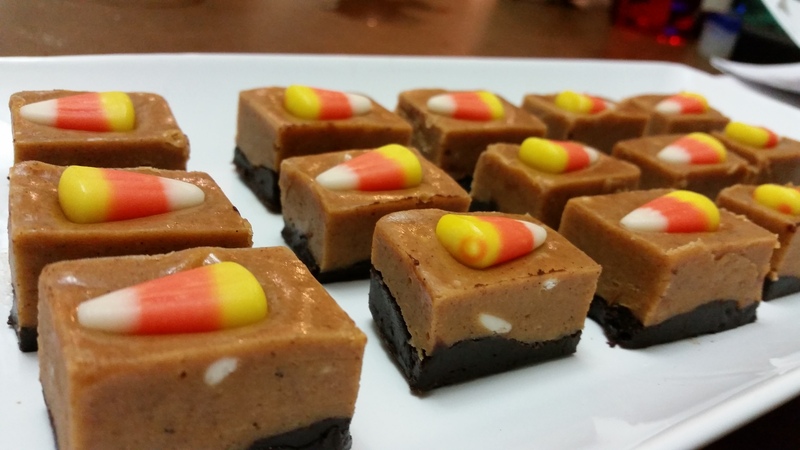 Anyways, pour the chocolate fudge into the bottom of a square pan (I used a 9×9) and carefully place candy corn in rows on top of the warm fudge. Refrigerate until cool, slice up, and serve! Hi, I'm Maddie and I like to bake! 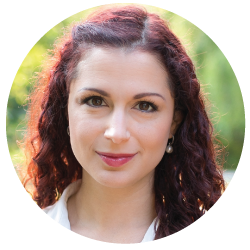 Learn more about me and my creations.